Can she solve the crime before they uncover her true identity? 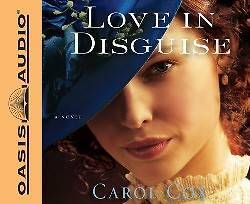 Jobless and down to her last dime, Ellie Moore hears about a position with the Pinkerton Detective Agency and believes it s the perfect chance to put her acting skills and costumes to use. Reluctantly, the agency agrees to give her one assignment, one chance to prove herself. Disguised as Lavinia Stewart, a middle-aged widow, Ellie travels to Arizona to begin her investigation. When the need arises, she also transforms into the dazzling Jessie Monroe, whose vivacious personality encourages people to talk. Mine owner Steve Pierce is going to lose his business if he can t figure out who s stealing his silver shipments. In his wildest dreams, he never expected to receive help from a gray-haired widow...or to fall in love with her beautiful niece. Then the thieves come after Lavinia and Jessie. Ellie isn t safe no matter which character she plays Should she give up and reveal her true identity? What will Steven do when he realizes the woman he s falling in love with doesn t really exist? Set in 1880s Arizona, Love in Disguise blends romance, humor, and mystery for a can t-stop-listening experience.